Eliminate unwanted fat with the world’s #1 non-surgical fat removal treatment. Senara Health and Healing Center & Spa is the leading provider of the CoolSculpting procedure in Peoria and throughout Central Illinois. We have provided over 2,000 treatments to freeze fat away with CoolSculpting since 2014. Senara’s experienced medical spa technicians will develop a customized CoolSculpting treatment plan that addresses your problem areas. Additional sessions may further enhance your results. Your individualized cellulite-reduction treatment plan will be tailored to your body, your goals, and your budget. The number one question we get about CoolScultping is, “How much will it cost?” Well, that number can vary widely because we all have differently shaped bodies. The fat deposits on our body are just as different from person to person! Long story short, we can’t tell you how much your CoolSculpting treatment will cost until we see you, and here’s a video showing you why! Penny walks you through a demonstration of the many different sizes or adaptors that we can choose from for your unique shape. CoolSculpting consultations are always complimentary. Call 309.693.9600 to schedule your no-obligation consultation for a customized quote. Want to see us in action? Watch a live CoolSculpting consultation at Senara on our YouTube channel! Click to watch. It’s easy to sit back, relax, and say goodbye to stubborn fat. After we select the area(s) to be treated, the CoolSculpting device is positioned on your body and controlled cooling is applied. During your procedure, you may choose to read, check email, or even take a nap. The CoolSculpting fat-freezing procedure is completely non-surgical, so you can typically return to work and normal activities immediately after a treatment. You will like what you see. 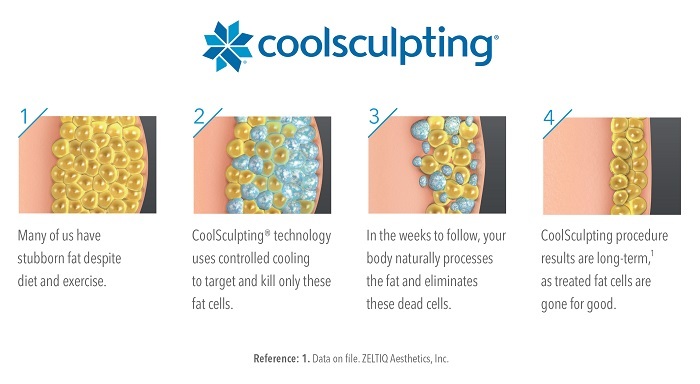 In the weeks and months following your CoolSculpting procedure, your body naturally processes the fat and eliminates these dead cells. 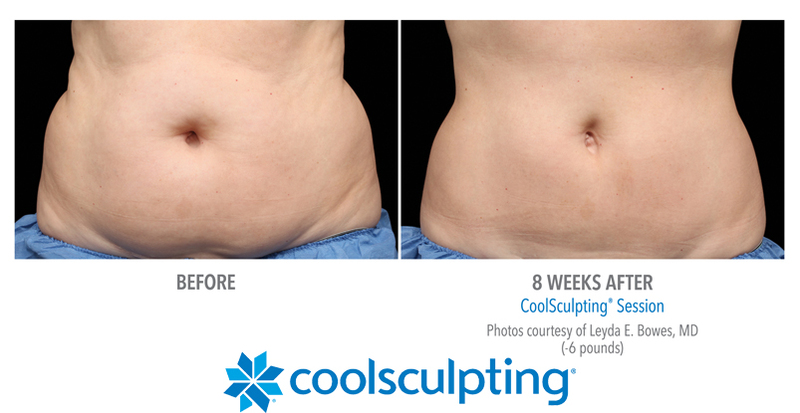 CoolSculpting Results: It Really Works! Click here to view our full gallery of before and after results! Are you ready to love every view of you? The sooner you set up your CoolSculpting consultation, the sooner you’ll see results in the mirror —results in those areas that have resisted all efforts through diet and exercise. Contact us today to find out if the CoolSculpting fat-freezing procedure is right for you. To set up a CoolSculpting consultation, call the med spa team at 309.693.9600, or simply fill out the form below to request an appointment. Senara offers our intake form online for new CoolSculpting guests. Available as a downloadable PDF, you may fill out your intake form at your convenience before your first visit with us. Filling this out before your first CoolSculpting appointment will help reduce time before your procedure begins. If you have not scheduled your initial consultation appointment yet, please call 309.285.8979 prior to filling out the form. When you finish completing your form, you may bring it with your appointment, send it to us via email, or, you can print and send your forms to us at this mailing address if your appointment is a week or more away. 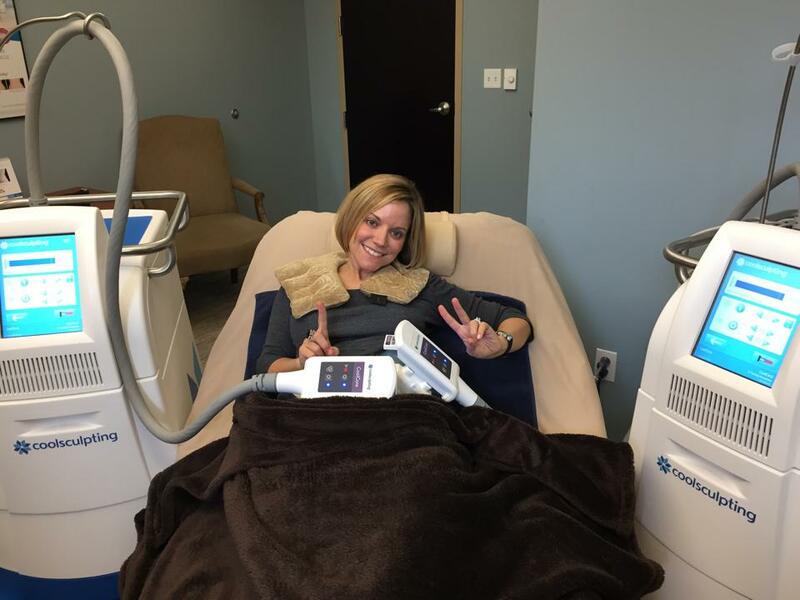 Getting started with CoolSculpting is easy! For your initial consultation, we ask that you please arrive 15 minutes early for check-in if you have not already completed our online intake form. If you have already submitted your intake form, simply arrive a few moments prior to your scheduled consultation time to check-in at the front desk. At your initial CoolSculpting consultation, your Senara medspa technician will review your goals, go over a brief health history to ensure the procedure is safe for you, and perform an assessment of potential treatment areas. The technician will also explain how the CoolSculpting procedure works and address any questions you may have prior to deciding on your treatment plan. No need to wear anything special for your initial consultation. The entire appointment should take approximately 30 minutes. On the day of your CoolSculpting treatment, we have a few recommendations to help you make the most of your appointment. Wear comfortable clothes you can relax in. Wear your favorite underwear! To track your results, we will take “before” photos just prior to your treatment. For best results, you’ll want to wear the same underwear at your follow-up appointments as well. This will allow you to see the changes in your shape more clearly and objectively. Feel free to bring a book, tablet device, or other quiet activity to do while you relax during your treatment. Complimentary wi-fi is available, and the remote is yours to control the in-suite TV! You’ll also have the option of adding a mini-spa treatment or spa lunch during your CoolSculpting service time! To view options, download the forms below and then contact our front desk to order. Call 309.285.8979, or e-mail info@experiencesenara.com. We request that all add-ons be ordered at least 7-days in advance. Many patients have minimal discomfort following the procedure; however, you may experience one or more of the following sensations: deep itching, tingling, numbness, tenderness to the touch, pain in the treated area, strong cramping, nausea, bloating, diarrhea, muscle spasms, aching and/or soreness. Consult your doctor if these conditions persist beyond two weeks or worsen over time. Following the procedure, a gradual reduction in the thickness of the fat layer will take place. You may start to see changes as early as three weeks after the CoolSculpting procedure and you will experience the most dramatic results after 2-3 months. Your body will continue to naturally process the injured fat cells from your body for approximately four months after your procedure. In rare cases, patients have reported darker skin color, hardness, discrete nodules, freeze burn, enlargement of the treated area, hernia, or worsening of existing hernia following the CoolSculpting procedure. Surgical intervention may be required to correct the enlargement or hernia. Weight gain will prevent you from appreciating your full results. Maintaining a healthy diet and exercise routine after your CoolSculpting procedure can help prevent this. treatments to achieve desired fat reduction. Please call us at 309.285.8979 if your symptoms appear to worsen or last longer than two weeks.